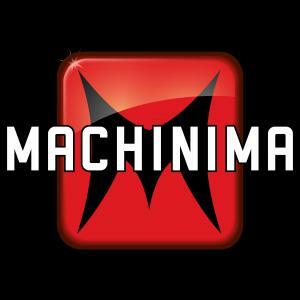 Machinima, Inc. was founded in January 2000, in Los Angeles, California, USA, and is a YouTube network founded by Hugh Hancock, mostly focused on gaming. The company name means videos that manipulate video game technology to create animation. Since its inception, Machinima has been available through numerous platforms such as iOS, Android, Facebook and Twitter. All of their efforts have helped put the company’s net worth to where it is today. How rich is Machinima? As of late-2017, sources estimate a net worth that is at $102 million, earned through the success of their various endeavors. The company is a subsidiary of Warner Bros.
Digital Networks, and as it continues operations, it is expected that the value will also continue to increase. Machinima has been used popularly since the late 1990s, initially for “Quake III Arena” when users started to record animated videos through Machinima. This led Hugh to found the company mainly for video makers who used video games as a medium. They started with interviews, tutorials and articles, before venturing to create their own productions. Their first original production was “Quad God”, which helped solidify Machinima as a network. Eventually, they ventured into using other game engines including the “Unreal Tournament” “Unreal” engine. Hancock would stay with the company until 2006, when he decided to resign as editor in chief of the company, and control was transferred to the staff, which led to the transformation of the network to what it is now. The website focused a lot on entertainment programming and gamer lifestyle videos, mainly dedicating their releases through YouTube. In 2012, Google invested $35 million into Machinima, increasing the network’s net worth significantly, and led to start creating original series and movies once again. In 2014, it was Warner Bros that started funding Machinima, which eventually led its acquisition in 2016. Some of Machinima’s most popular programs include “Inside Gaming”, which is a coverage of gaming news and previews, and has proven to be one of the most popular shows on the network. There was also “ETC News” which is an entertainment news show which started in 2010. Machinima also began endeavors into streaming via Twitch, which included gameplay events, conventions, and also play-throughs of various popular games. They then branched out to create “Machinima Respawn” which became a more gameplay-focused channel. A few of the most popular original series Machinima has created include “Mortal Kombat: Legacy’, “Terminator Salvation: The Machinima Series”, and “Street Fighter: Assassin’s Fist”. They also created “Justice League: Gods and Monsters Chronicles”, “Transformers: Combiner Wars”, and “#4Hero”, all adding steadily to the company’s net worth. Machinima has had its share of controversies, including using perpetual contracts. They have been criticized by various YouTube personalities for a lack of transparency, and alleged use of advertisements without permission, plus deceptive advertising now settled with the Federal Trade Commission. Machinima, Inc’s chairman is Allen DeBevoise and the CEO is Former Ovation COO Chad Gutsein. Hugh Hancock has since transitioned to create “Strange Company” which consists of machinima creators.